The Bechdon Company, Inc. was started in 1966 with a single milling machine in a basement work space. The company soon filled a 20,000 sq. ft. warehouse in Temple Hills, MD. By the mid 1980’s it was obvious that we had outgrown the warehouse and were in need of a true manufacturing facility. 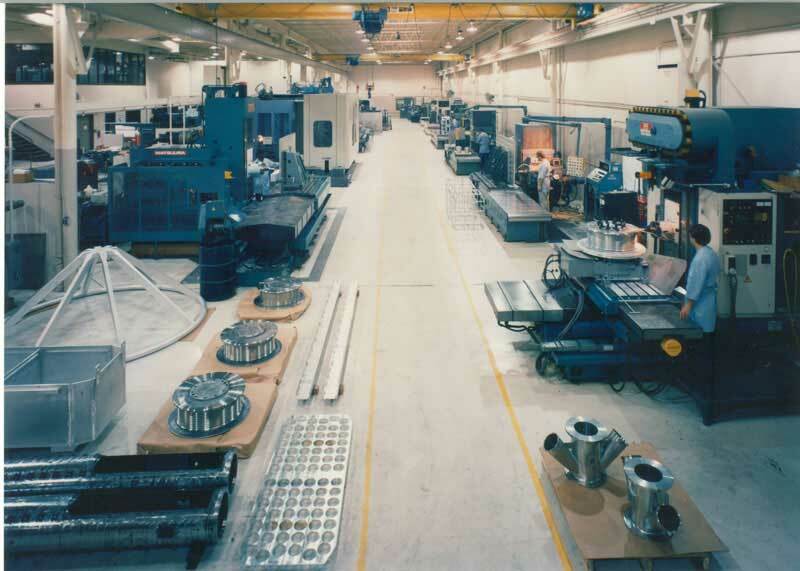 Our present facility was designed and built in 1990 to suit Bechdon’s machining, fabrication, and business needs. 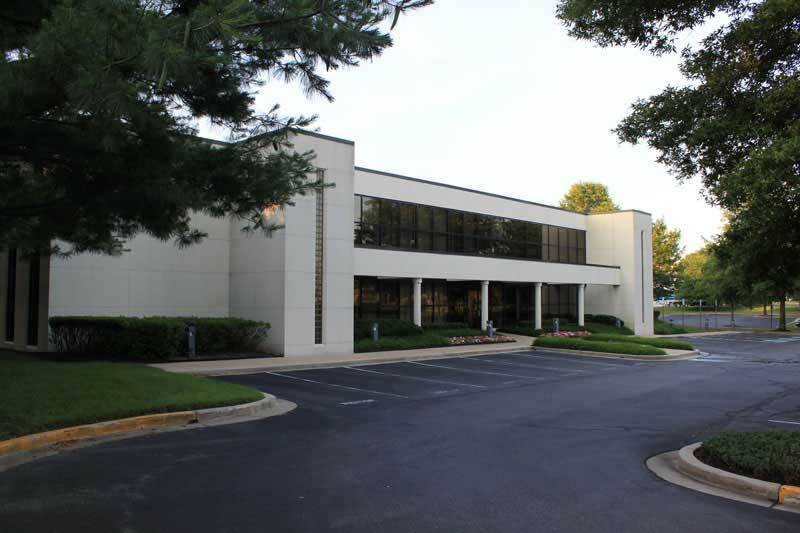 We are located at 300 Commerce Drive, Upper Marlboro, Maryland, and housed in a 53,000 square foot masonry building on a five-acre parcel of land. We have a manufacturing area of 42,416 square feet under 22-foot ceilings. The entire building is temperature-controlled with special emphasis on humidity and temperature control in the inspection area. The facility includes a 1700-square-foot paint room with a 14 foot wide by 26 foot long by 9 foot high DeVilbiss paint booth. The area also contains a 320-square-foot non-destructive testing room, a 1,080-square-foot inspection room, and a 4,320-square-foot welding and fabricating shop. The manufacturing area is all on one level for efficient movement of materials and finished products through four 36′ wide by 210′ long bays serviced by five 3-ton and one 5-ton traveling bridge cranes. A 2-ton bridge crane will facilitate the handling of material for inspection on our large coordinate measuring machine located outside our quality inspection room. The manufacturing area is accessible through two standard loading docks and a 14×14-foot drive-in door. The administration area consists of 5,592 square feet of space and an additional assembly area, located on the second floor, encompasses 5,200 square feet. Bechdon provides precision machining services, CAD/CAM part programming, welding and fabrication services, assembly of components and structures, mechanical inspection, non-destructive examination (NDE), paint and chemical film surface coating processes. Bechdon has been involved with Space Shuttle onboard experiments and most of NASA’s unmanned projects for the last quarter century. We have had roles with both the Hubble and James Web Space Telescopes. Our work with various university research programs has been key to several next generation earth based telescopes, and energy wave research programs. This experience has given us a considerable working history with the research and development community. We have furnished manufacturing support to the Gulf War and Desert Storm, and continue to provide precision machined and fabricated goods to our military. Bechdon produces components for several airborne, shipboard, ground based and mobile defense systems. Bechdon also manufactures many components for commercial and military radar and communication systems as well. In addition to Aerospace and Defense work, we have produced architectural elements for the new One World Trade Center and the renovation of Reagan National Airport. Today’s machining and manufacturing industry is technology based and driven. Tooling and techniques that worked well 10 years ago have been improved or superseded. Bechdon continually evaluates its own equipment, technology and knowledge to better fulfill its customer’s present and future needs. From the purchase of new machinery to improved maintenance, upgraded software and training to hone skills and learn the latest methods, the Bechdon Company Quality policy is: Continual Improvement and Customer Satisfaction.